It is now possible to pre-order both the Christmas book (with a bonus DVD) and the anniversary edition of the album through Peter’s official site. The album pre-orders will be autographed. The site’s online store is managed through Bengans which means that orders can be shipped around the world. Following on from yesterday’s story of the 10th anniversary reissue of “Jag kommer hem igen till jul”, online store Ginza have revealed the complete track listing. Tracks 16 to 18 come from the 2008 release “En god jul och ett gott nytt år”. 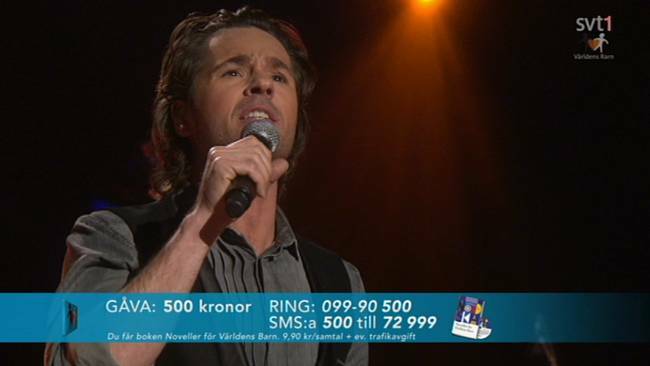 The new song “Jul nu igen” was written by Andreas Mattson and Niclas Frisk. The release will be in special packaging including a 24 page booklet with a forward by Peter, lots of pictures and the song lyrics. Ginza has given the release date as 21 November 2012. To pre-order from Ginza, click here. Please note that you have to be in Sweden to order from Ginza. Swedish online store Bengans has advertised a special reissue of Peter’s classic Christmas album “Jag kommer hem igen till jul”. It is being released on 14 November 2012 to celebrate the 10th anniversary of the original release. 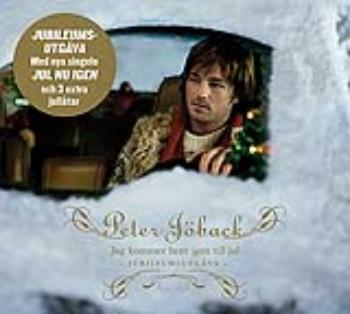 Peter has recorded a brand new Christmas single for inclusion on this reissue, “Jul nu igen” which translates to “Christmas now again”. There are also an extra three tracks including Peter’s duet with Sarah Dawn Finer “Min bön”, a Swedish version of “The Prayer” which was included on the 2008 limited Christmas release “En god jul och ett gott nytt år”. It is expected that the other two tracks will also be from that album. Peter performed at Världens Barn on 12 October 2012. This is a humanitarian gala to raise money for children around the world. Peter performed two songs – “Music of the Night” from “Phantom of the Opera” and Luck Be A Lady” from “Guys and Dolls”, no doubt a taste of his I Love Musicals tour due to kick off later this month. SVT has these two performances on their playback service for a limited time. Click on the following links to view the clips (may not work in your country). For more information about Världens Barn, check out their website (in Swedish) here.